How many times do you lads need telling? Use the search function! I will double check the bottom of my tank but it looks like mine hasn't moved too far in comparison with that one in the thread link as the kink in the sender tube is less. I have changed my tank bleeder valve, fuel filler tube, charcoal canister, canister check valve and purge valve already so I'm wondering if I have a crushed pipe somewhere, maybe even the tank vent pipe to vent valve and why it had been left loose but a previous owner. In very hot weather I had noticed a smell of fuel every so often so this may be coming from the top of the tank vent with it being disconnected? This issue could actually be a blessing in disguise if I can cure the altitude and emissions problems. 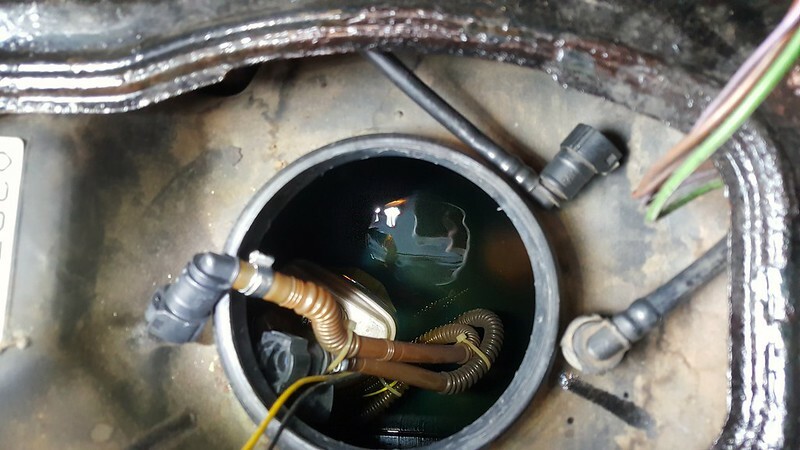 Be careful when fitting new sender, you might find the sender leg moving to one side as you lower it into the tank this means the bottom of the tank has risen. same problem as mine air venting gas you undid the petrol cap cost me new tank. good luck. I checked the bottom of the tank again today and pushed down with a piece of wood through the tank sender hole but it seems it had already gone back to its original shape. This is the new (used) sender just sat on the top of the tank entry before tightening the threaded ring up, so it looks like no damage has taken place to the tank luckily. With the sender unit now fitted and looking in the tank I guessed around 1/4 of a tank, I fitted everything back including the battery and the gauge does read just over 1/4 of a tank. So now that is all back together and working I set about testing the pipe work around the EVAP system. I first removed the wheel and arch liner and all the pipes to the carbon canister and the canister itself. I checked the fuel vent line to the bleeder valve and that checks out OK, no air leaks and not blocked. Bleeder valve pipe to bottom of the canister with the check valve is fine too, and the check valve works. The other pipe on the bottom of the canister goes to the purge valve and this was checked for blockages and leaks but again this was fine. The only pipe I'm not sure where it goes, is the one from the top of the canister, can anyone help with this one, just need to know where it terminates so I can test it? I can blow into it and no pressure is building in the pipe but that could be because it goes into some vessel or if it should be a valved seal maybe it is leaking? I can't find a diagram of this either so hopefully someone knows? I think I have a spare bleeder valve so will check them back to back and I will also test the purge valve tomorrow but after that and checking the mystery pipe I'm back to square one? 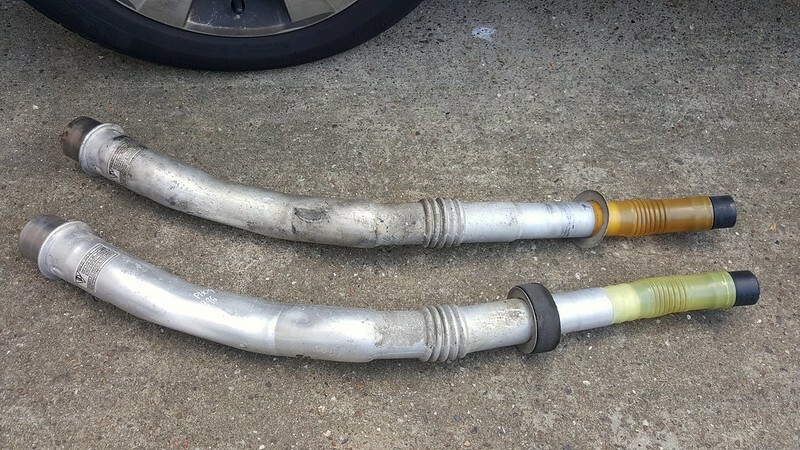 If that is a common design on all carbon canisters that would make sense, although there wouldn't be any need for a pipe routed around the car to somewhere? Where does fresh air enter the tank to maintain ambient pressure? I cant figure it out from your diagram. 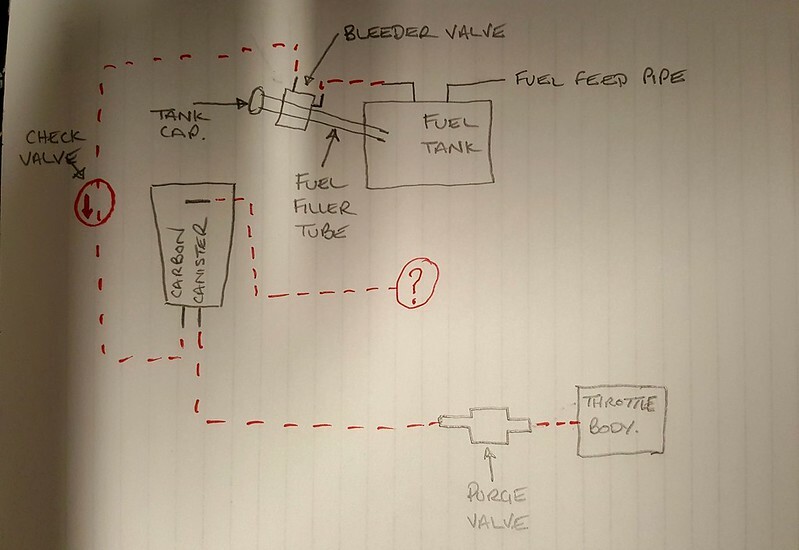 I've totally stripped this all down this afternoon including pulling the fuel filler tube from the tank and one reason I didn't put direction of flow or what goes where on my diagram yet as I wasn't fully sure? I have sat just looking, thinking and testing how this works and what direction air flows. As soon as I get time I'll post what I think happens (took a few pictures) but then hopefully I can get some feedback if others think what I think is wrong. One thing I am finding is the EVAP systems on the 3.4 and 3.6 are different and the 3.6 seems be more simple but less documented! 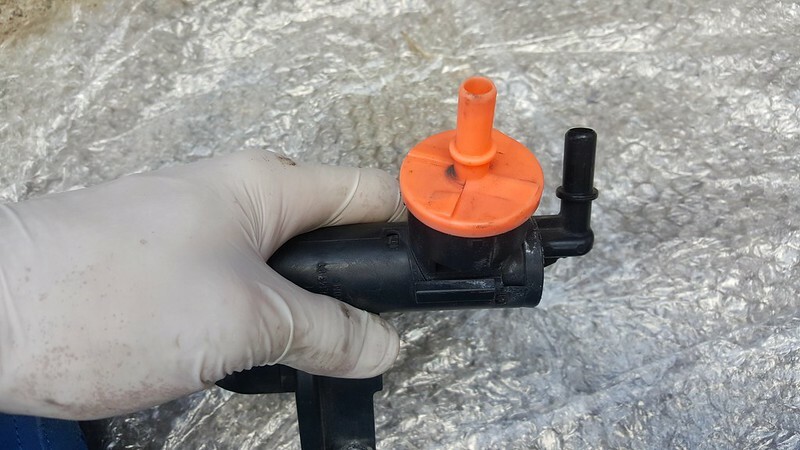 Could be wrong here but I think I remember a thread where someone had a fault to do with the purge system and they had a whooshing noise coming from inside the fuel flap just near the filler cap. Have a look to see if this is anything to do with your mystery pipe! 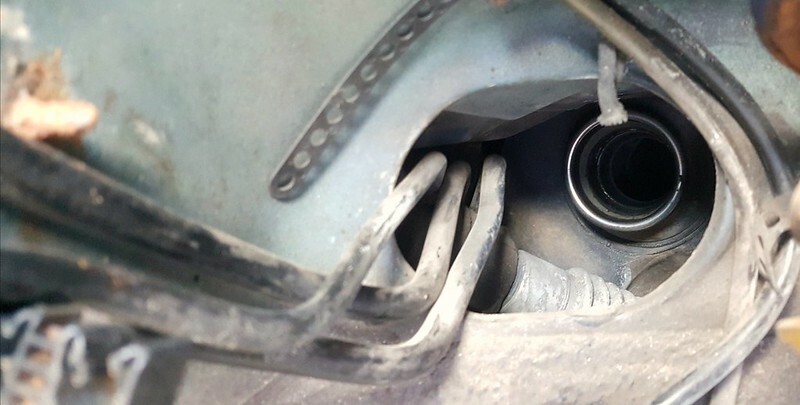 That is something I have picked up from other threads but the hole inside the fuel filler flap that makes that noise isn't present on the 3.6. That hole is plugged up with a grommet on mine. These are my findings from earlier today, chime in if there is something you think I have got wrong or have an idea. I started off by totally stripping the whole carbon canister and any pipework off the car. I also got all the spare parts I had to test back to back with what I had fitted to the car already. I first checked what the bleeder valve does. This connects by the black outlet to the tank vent line and then the pink connector pipe runs down the side of the canister and has a check valve half was down flowing down. This then connects to the bottom of the canister at the port that is stamped Tank. Markings at base of carbon canister. 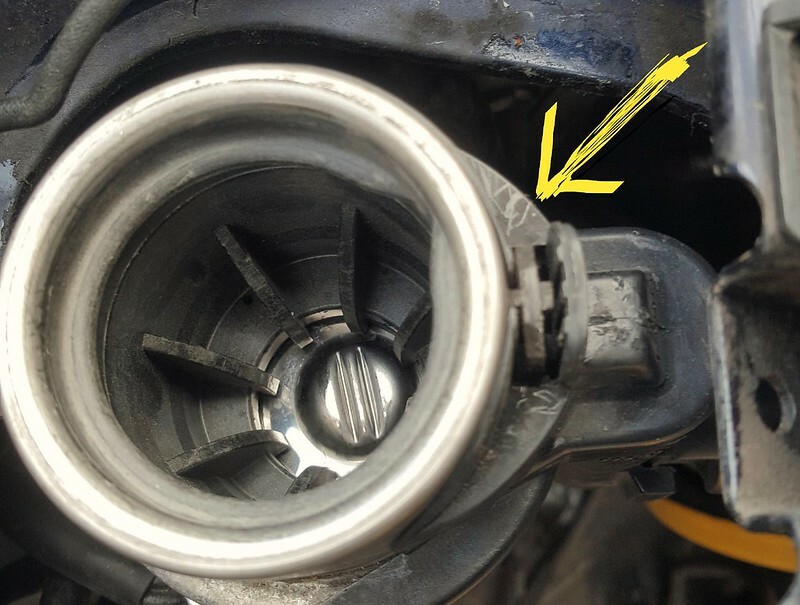 The Engine stamp marks the pipe that goes to the purge valve at the throttle body. I found if I blew into the pink valve this blew straight out of the black port, if I blew the other way there is some resistance until a little more pressure is blown and then air will pass this valve. I assume this is to relieve tank pressure should it occur when filling up. This is only shut off with the fuel filler neck cap removed as the cap opens the pink valve up once it's tight to allow air to pass from the tank, through the bleeder valve and to the canister base. I have two other bleeder valves and they all performed the same so I have eliminated that as the EVAP issue, for the moment. This is the part that the fuel filler cap pushes down on when tight, opening the pink valve up behind it to let it free flow to/from the tank. The next job was to check the canister and I did this back to back with a spare I had, all three ports blow through and out all others so there are no valves or different channels, they all just go into the open space. I then inspected the filler tube, I had a spare and that one looked cleaner so only replaced it because of that. 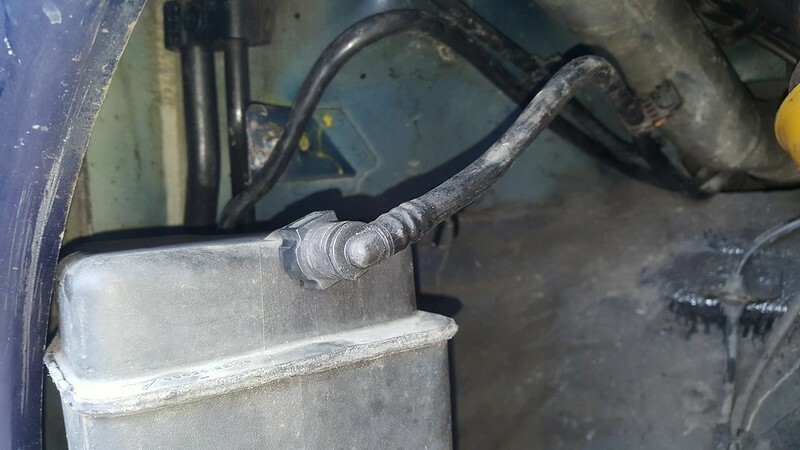 For reference I took a picture of the fuel tank opening where the filler neck goes into. The pipe I am still looking to trace is the right sided one of the three. I then moved onto the engine bay to test the purge vale, I tested the plug with a mulitmeter with ignition on and I got 8 volts supply. I then hooked up a 9v battery to the valve and I could hear it opening and shutting as I did put power on and remove it. I also blew through this to confirm it could flow when the valve was switched open. I then made sure all the various pipes between the valve and the throttle body were clean, all were fine. I thought where it goes into the AOS pipe may be blocked but it was fine too. This is where I thought I had run out of things to check and not finding any faults in the system I put everything back together. Everything seemed to do what is should do but unsure if anything has been cured yet? 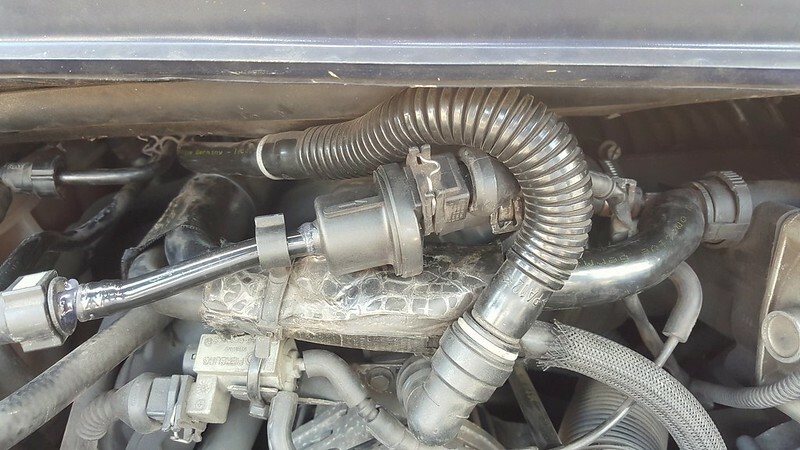 I ran the car for a while testing the cap every so often to check it didn't have a rush of air in, there was a little sound but not much at all, but with it only idling it wouldn't have used much fuel and little vacuum would have occurred yet in the tank. The big test is the drive down to London Saturday night to the hotel before the Festival of Porsche. I think I will keep stopping at the first few services to check the tank cap and see if it is passing wind? Going back to the question about where the air that replaces the fuel comes from, I'm still not sure, I thought it may get there via the bleeder valve to start with by equalising the pressure but the check valve in the down pipe stopped that idea. After the check valve nothing goes back to the tank so there must be something to replenish the fuel that leaves the tank? The mystery pipe maybe? 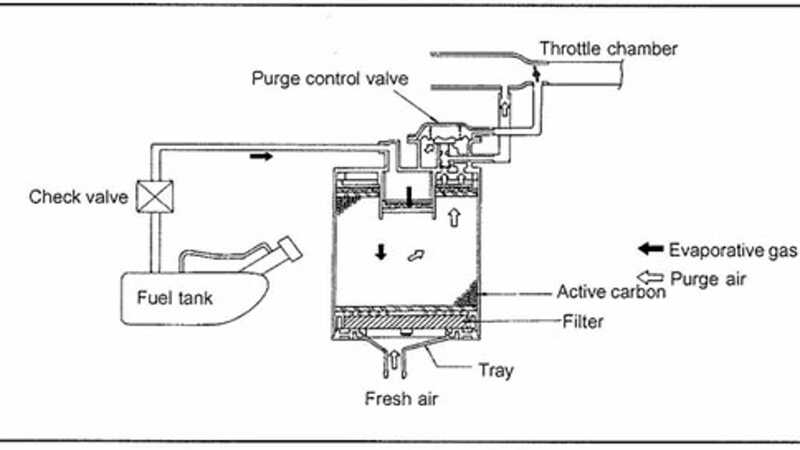 I was reading up on vent systems in general today and while I don’t find any of great help in explaining how the ambient pressure is maintained, they seemed to suggest it was from the bleeder valve as you call it - but it is referred to as the vent valve on other schematics. 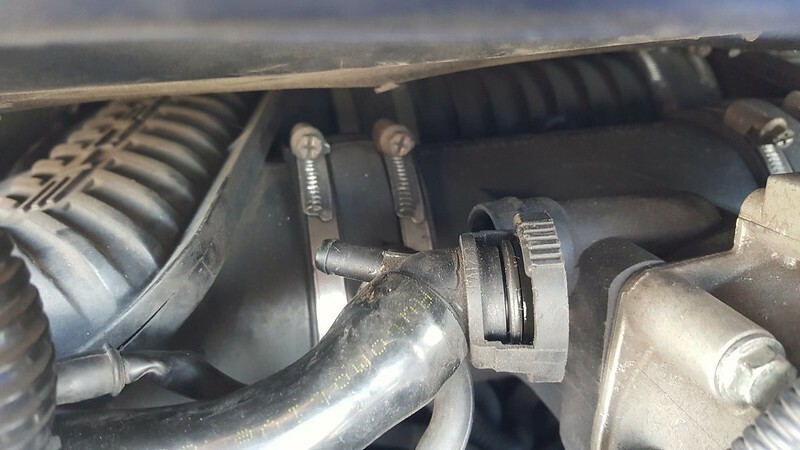 Can you clarify if there is an electrical connector on the bleed valve or is it mechanical? Also - I was confused when you talked about the pink hose - it looks orange on my phone! I had to look at the pelican website to realize what you were talking about. No electrical connections other than an earth tab, it has a diaphram. 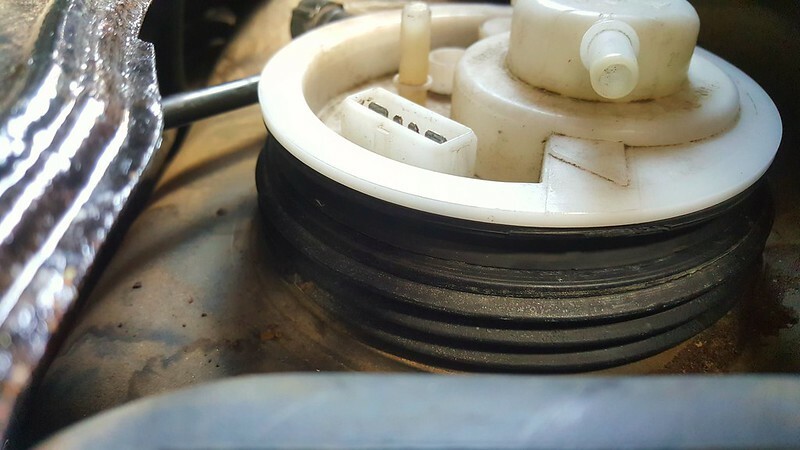 Is there any chance the fuel tank cap has a check valve to prevent a negative pressure in the tank? How else can air get in. Pelican article suggests the purge system is there to assist refueling and prevent over pressure in the tank and fumes escaping. 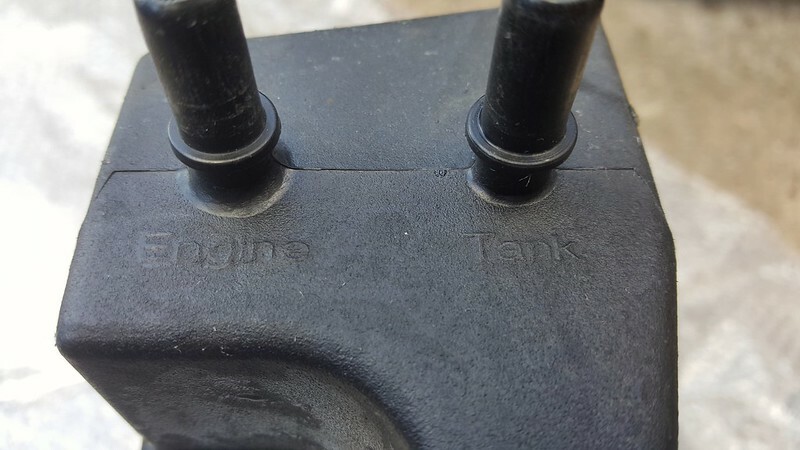 It doesn’t suggest it is there to prevent negative pressure and none of the articles I read today suggested that either..
Could it be as simple as the fuel tank cap? Many times along with many other's but they've not been that much help really. I assume that valve was originally red and has now faded to pink so I used that colour to match what was in the pictures. Is that your left foot on the top left of this photo or have I just had too much Gin?